Gameplay: This is a first person game. The main menu has new game, load, save, return, options, controls, credits and exit the game selection. During gameplay, press ESC to access the main menu. To save a game, click an empty square for a new save or a square with a picture to overwrite a saved game. Then press 'confirm' to enter the saved game. The options menu has video and audio settings. The video setup selections are for resolutions, color depth, vertical synchronization (refresh rate), antialiasing, anistropic filtering and gamma. The video settings are for graphics, texture, water quality, water reflection and shadow quality. The sound setup is for master volume, voice, music, effects and ambiance adjustments. Under preferences: subtitles, mouse and camera sensitivity selections are seen. If any changes are done from the default settings, press the 'validate' button to enter the changes. 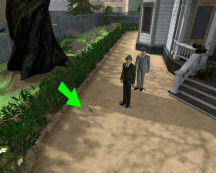 Gameplay movement can be played using the mouse or keyboard. Press and hold of the left button makes the character walk where you orient the mouse. Double left click will make the character run. Right click accesses the portfolio that has the items, dialogues, documents, reports-personal notes and the navigation map. If an icon is seen at top right of screen during gameplay, which means something in the portfolio has been updated. Be sure to check the item or the document taken by right clicking to open the portfolio. This is important in the investigation. Review the documents, dialogues, notes and reports for clues. The mouse wheel can scroll through the documents too. Use the map to jump to marked places. At the bottom of the screen is an icon that shows the position of the character, whether standing or crouched down. Press ESC key to skip cutscenes. Added text are found in the remastered version of the game. At the bottom of the portfolio is a question mark. Click on '?' to access the Strategy guide. Beside the question mark is the option to change from first person or third person perspective. Use the space bar to see all the exits in the screen. Dr. Watson is having a recurrent nightmare. He calls for Holmes to help him. He recounts the story of what happened to bring him to this state. At 221b Baker St., Dr. Watson arrives to eat breakfast. Holmes is undergoing one of his 'tedium' moods due to lack of a mystery to exercise his brilliant mind. Watson mentions that he should visit Barnes Bookstore and leaves. As Holmes, look out the window to see a newspaper boy. Turn to the writing desk left of the window and pick up the matches. See that an icon appears at top right to show that a new item is in inventory. Right click to open the portfolio and then select items at bottom left. See a knife and the matches. If you click on an item and then right click to exit the page, see that the item will be at top right of the screen. To remove the item from the gameplay screen, go back to the items page and click that item again and then exit. Exit the apartment. Go down and exit the building. Go to the newspaper boy, one of the Baker St. Irregulars. Face him and click to talk to him. He mentions the latest news about a Scandinavian princess. Holmes gives him an errand. A newspaper is placed in the portfolio. Read the Strand in documents to learn about an event that will happen soon, an alignment of 7 stars. In this event a mysterious 8th star known as Formahaut might be observed. Turn around and walk toward Sergeant Rufles. Learn that Barnes Bookstore is right and then left from Baker St. Go forward and turn right at Melcombe St. Talk to Miss Fleming, the flower seller standing at the corner of Glenworth St. Take a left and enter the bookstore on the left. Barnes Bookstore: Go close to the ladder across the door and click the eye icon. Holmes will state that someone must have fallen off after seeing the scuff mark. Talk to Barnes at the counter. He mentions what and where the books for Holmes are. Go left of the counter to the table in front of the bookcases. Take the book on underwater fauna-fishes. Take the Desperate Pirate book from the bench left of Barnes' counter. Read both of them in documents. Go back to the counter and look at the flower on the window display - it is a sorry sight. Talk to Barnes again. Watch Holmes' brilliant deduction at work. Exit the store. Capt. Stenwicks' house: Walk back towards Baker St. but get hailed by Dr. Watson at Melcombe St. Talk to Watson and then enter the gate of his patient. Talk to Capt. Stenwick and learn about his missing Maori manservant, Baowpa. Talk to Sgt. Rufles twice to learn that this is just one of the cases of missing poor immigrants and his thoughts about the case. Shed: Go left of Rufles and go around to the back. See a shed that is the living quarters of the missing manservant. Look at the door and see that it is not forced. Look up to the lintel of the door and take a piece of cloth that got caught on a nail. Enter and check the Maori drawing on the ground. It is of a man escaping waves that have flying fishes. Look close at the bowl on the floor at far wall. Zoom in and use the magnifying glass to see a ball. Click on and take the ball. Read Holmes' observation under report in the portfolio. Exit the shed. Grounds: Follow the footprints. Check the back of the shed close to the wall. Look down and see footprints. Look close at the footprints. Use the magnifying glass and examine the prints. Measure the footprint. 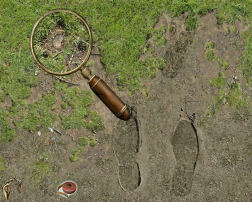 Click the magnifying lens on right footprint and Holmes says that the right footprint is missing a nail. Move the lens to see and take a fish scale at top left of the prints. Look up and see something caught in one of the twisted metal on top of the wall. Go around to the front, exit the garden, go left and around the corner. Go forward and look at the other side of the wall with the twisted metals. Look down and see the footprints. Follow it to a gate that Holmes would say 'he doesn't need to go there'. Take the ladder. Use the ladder on the broken metal above the wall. Click on ladder to climb up and then take the fibre. Go back to talk to Stenwick. Holmes deduces that there were 2 men; one of robust size and a young Hindu that kidnapped the Maori. Analysis: Automatically be back to Baker St. After ordering Watson to talk to the newspaper boy, he should go to the book store to find information about Maoris customs. Click on the chair to start the analysis and get a close up of the table. Piece of cloth - Take the piece of cloth in items and then click it on the microscope. Once in close up view, click on the piece of cloth and Holmes will say 'interesting'. Right click to exit the scope view. Read reports to learn what Holmes observed about the cloth. The cloth is now gone from inventory. Fish scales - Take the fish scales from items and click it on the microscope. Use the tweezers on the fish scales. Holmes will say that it is from a perch, a saltwater fish that is good for commercial sales. Read the report and see that it is now gone from inventory. Plant fibre - Take the plant fibre from items and click it on the microscope. In close up, use tweezers to get a piece of stained rope. Holmes says to check it for the origin of the stain. Place the stained rope on small plate of the analysis setup on the left. Take the bottles of water, solvent, acid and spirit of alcohol from the table. Click the solvent on the fibre on the plate and see it dissolve. The machine starts to analyze the dissolved fibre. Read the report and learn that it is coal soot. Ball - Take the ball-small lump from item and place it under the microscope. Use the scalpel to cut it in two pieces. Holmes makes a comment that the mustard seed didn't completely ignite. Use the tweezers to get compound from ball. Place the compound from ball on the plate of the analyzer on the left. Use acid on the compound from ball that is on the plate. See it dissolve. Use the match to light the candle and heat the dissolved compound. Watch the analysis. Read the report and learn that it is opium with some morphine and some unknown elements. Click the chair to finish analysis. Holmes will now say to look for Watson. As Watson: Talk to the newspaper boy and learn that the Scandinavian princess' big bodyguard disappeared on the first day she arrived. After Watson tipped the newspaper boy, proceed to the bookstore. At the bookstore, talk to Barnes and get reprimanded about patient confidentiality. Go to the middle bookcase and take the People at Earth's End from the table. Read it under documents to learn that notable dreams are drawn on the soil and that Maoris place significance to those dreams. Go back to Baker's St. either by walking or use the map to jump from one point to another. See that the points are labeled. Talk to Holmes. Quiz - From what part of London does one of the two kidnappers of the young Maori come from? Type using your computer's keyboard - Docks or Wharf or Thames. Click check mark or press enter key. Find the kidnappers: Open the map and jump to Wharf #13 by the river Thames. Cursed Mermaid Pub: Enter the bar on the right. Talk to the bartender about a sailor on boat with a coal fed boiler. He says to talk to Harper; his house with an anchor sign is after the bridge. Find out what ails the man drinking at the bar. His package of a wooden hand should have been delivered yesterday and it didn't come. Oh my! Harper's house: Exit the bar and turn right. Go forward pass the bridge, down the stairs and forward to a brick building on the left. Check the door and see that it is locked. Go to the sacks at right of door and take the rope. Nepalese house: See a boy peeking out the window on the house across Harper's house. Enter the house and talk to the crying Nepalese woman. Harper went on a boat last night. Her 16 yrs. old son is missing and last seen with a man who works here and has a silver eye. Look close at the altar and take the silver Pelican medallion. Exit the house and turn to the other end of the road. Postman: See a man stagger and gets sick by the crates. Talk to the deliveryman and find out that he was forced to drink a bottle of something by a group of thugs. He woke up with his package gone. The bottle of moonshine is in items. Holmes says that the moonshine is made from turnips. Cursed Mermaid Bar: Use the map or walk back to the bar. Talk to the barman about the man with silver eye. Find out that it is 'Dirty' Sommers. He was hiring men for his boat to leave last night. He was edgy and had a knife in hand. Enter the first private curtain in the back of the bar. Look close and click on the etching on the table. The pub symbols are entered in documents. Smugglers: Use the map to jump to Nepalese house. Go forward pass the sick postman. Turn right from the tower. Go forward and up the stairs. Enter the alley between the 2 buildings at the end of the path. Walk on the plank that is on top of a hole. See the yard littered with bottles and turnips under tarp. Holmes makes a comment about hiding under the left tarp. Take the moonshine bottle from items and then click to open the door. Talk to the moonshiner. Click on door again to get parcel. Take the medallion from items and then click on the door. This time the moonshiner says that Brannoch was given one by a dockworker with a red cap and harelip. Brannoch has now gone missing. The dockworker is at warehouse 12. Cursed Mermaid Pub: Use the map or walk back to the pub. In items, combine the knife with the parcel and get a fake hand with scraper. Give the fake hand to the drunken man. Take the hook he left on the bar. 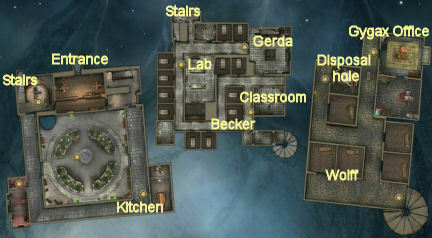 Warehouse 12: Go back to the tower close to the mailman who is now gone or use the map to go to the Nepalese house. Take the path left of the tower and right of the ship with the big wheel. Go forward and then left to see a green door. Check the warehouse number at top right of the building. Turn right, forward and again turn right to the next path. Go forward to the 2 green doors across each other. Open the door - Try to open the left green door - #12. Look up and see a destroyed screen above the door. In items, combine the hook and rope. Click the rope on the hole on the screen. Now, it's Watson's turn. Go to the right side of the building, around the corner and see dirty windows. Click-hold and move to wipe the window clean. See the green door inside the building. The puzzle appears. You should see a padlock on the floor, the rope and hook and the lever lock of the door. The object of the puzzle is to hook the padlock that is on the floor. Then click-hold-move the caught padlock to hit the lever of the door lock. The lever flips up. The padlock is automatically pulled by the hook. Take the iron bar on the floor by the crate. Go forward and look close at the items on the floor between 2 crates-boxes. It is an American passport for an Amos Colby. There's a demon drawn with blood. Check documents. Look close again and take the hatpin on the left. The point is bloody. Use the iron bar on the 2 crates. The right box has sails. Take Bullseye lantern from the left crate. Holmes makes an observation that Watson caught on; the boxes are used as coffins. Check the blood stain on top of the crate close to wall. Big door on the floor - Go to the big door on the floor. 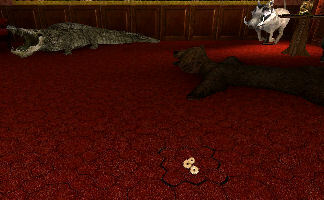 Examine the footprints below the big double doors on the floor. Click on the doors and note that there is no way the 2 heroes can open it. How can we open that? Look up to the hanging things and around the room to see the makings of a possible solution. There is a rope over 2 pulleys, hanging cauldron and a faucet beside it. Climb up the planks below the hanging cauldron. Move the cauldron to be under the faucet. Check by going down and see where the cauldron is positioned. Go to the wall behind the metal contraption right of the door. Turn on the faucet close to the floor. This fills the cauldron with water. Climb the plank, move forward and that pushes the cauldron as close to the ramp at far wall. On remastered version: Go under the cauldron. Move it under the faucet. Turn the faucet on. Push the cauldron again to get it close to the ramp at far wall. Climb the ramp by far wall and click on the rope hanging on a pulley. Then click on the cauldron and this ties the rope to the water filled pot. Go to the door on the floor. Click the end of the rope and then click on the door. This ties the other end of the rope to the door on the floor. Climb up the planks where the cauldron is located. Use knife on the rope that is hanging vertically. The cauldron drops and the door opens. Temple: Climb down and go forward until a chamber with a stand at the center. 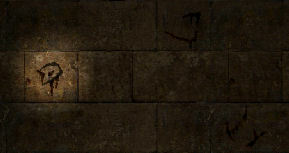 Open temple door: Use the lantern, place a hand over the stand at the center. See the cursor change to a glyph. On the walls are several written glyphs. Move the glyph cursor over each of those 3 glyphs on one wall. See if the superimposed glyph looks familiar. If not, go to the other side of the stand and place hand over stand (or click on the inset at bottom right). Again superimpose the C looking glyph on the 3 glyphs on the wall. 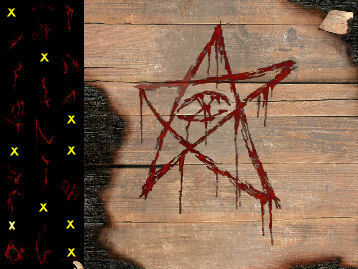 One of the glyphs, bottom left of left wall when combined with the cursor glyph looks like the third symbol etched on the table by Dirty Sommers. So the wall drawings have only part of the glyphs. Go to the door of the temple. On each side of the door are 3 glyphs. They are also incomplete glyphs etched by Dirty. Press the middle glyph left (half of the wing of the first glyph) of door. Press the top glyph (part of Sommers second glyph) right of door. Press the bottom glyph (part of Sommers third glyph) right of door. Press the top glyph (part of Sommers fourth glyph) left of door. The door opens. Inside temple - Look around the temple. See bizarre drawings on walls, mattresses of prisoners and strewn labels or pieces of paper. Go to the right of door and see pelican trinkets on the table. Holmes says they are decoys. Go to the other side of the door and at the corner beside a mattress is a box of coal. Take some coal. Walk the center aisle and at second to last right column, click and look close on the floor at the black drawing in the dust of a square with a cross inside. At the other side of the column see clothes. Look close at the clothes and get an advertisement for Northwood Agency. It has a fingerprint on it. Turn around and go to the corner at other side where there is a work bench. Check the spilled powder from a flask and Holmes says it is opium. Take the metal box with flower (Edelweiss) from the table. Holmes will investigate the contents later. Check the pitcher of water on the other bench and Holmes will say the water contains opiates. Altar - Go up the steps and see a naked body on the sacrificial altar. He was tortured. Click the eye icon on the neck. Look close on the right hand and use the magnifying lens to see that one of the fingers has dust on it. Looks like the fingerprint on the advertisement from the clothes below. Only one finger is active and can be clicked on - the middle finger. He said even though it is the middle finger - There is a hole at the left 'thumb' used to draw blood on the passport... Click on the middle finger and then the thumb. Pick up the broken statuette on the floor by his head. It is similar to the big one. Look-click on either stele by the wall. Holmes wants to make a copy of the message. Use the advertisement on the drawing. Then use coal to get a tracing of the message. Listen to Holmes summarize what has happened. Baker St.: Automatically be back at Holmes' apartment. Holmes sends off a copy of the message on the stele to brother Mycroft at the Diogenes Club. Analysis of the black box with flower - Click on chair by the work bench to start analysis. Open the box with flowers with the knife to get white powder. Use white powder on the microscope. Use the tweezers on the powder to get compound. Place the compound on the plate on the analyzer on the left. Use match to light candle and Holmes says that it is similar to the compound tested from Stenwick's place - opium with morphine. Holmes talks with Watson. Watson gives a clue about getting medical supplies and how they are delivered from other countries. Customs passes the crates-boxes with medical label and does not look closely on the contents. If they can get an intact label they will know which country sends these medical supplies. Cursed Mermaid Pub: Use the map to go back to the Pub at Wharf 13. Talk to the bartender about custom agent. Learn that Beddoes is usually at the pier near a ship. Customs House: Jump to the Nepalese house and turn around. Go to the Customs house on the left pass the house with anchor. Go to the middle aisle and take the letter tacked on the box from Philo to O'Reily as to why he is not there. Look at the register and learn that the special import goods are stored in Warehouse 16. Warehouse 16: Use map to jump to the pub or wharf 13 (or Wharf 16). Go to warehouse 16 at right side of the dock. The door has 'general strike' and 'factory closed' signs on the door. Look down and close on the footprints on the tar. Use magnifying lens at top shoeprint to see that it is missing a nail. Look close again and measure the footprint. It is also size 7 like the one at Stenwick's place. Use lens on the key at right to take it. Follow the tracks of the footprints. Go down the stairs to a door close to the water. Use the key on door. Enter and then look down to take a crate tag-label. It has the Black Edelweiss Institute on it. Check documents to see the label. Baker St.: Go back to Baker St. There's a letter from Mycroft on the table. Holmes summarizes what happened and who the victim is at the temple. Quiz - Where should you go to continue your investigation? Type in using your keyboard - Switzerland. Click arrow or press enter key. Watson is to book 2 for the continent and check if there is a Black Edelweiss in Switzerland. The game is on. Train: Holmes tells Watson that they will part company in Lyon. Watson is to continue to Black Edelweiss Institute and Holmes will investigate from the other side. If Watson needs help, contact Superintendent Bilger at the Valley. Watson arrives at Black Edelweiss in a carriage. Knock on door and Kuntz welcomes Watson. You are to talk to Fraulein Muller. See a female patient meet her visiting parents. Talk to Fraulein Muller. Watson, while talking to Dr. Gygax about learning their treatment procedure, sees a man approach the desk and announces himself as Amos Colby. Watson tells Gygax that that Amos is a fake and as an explanation admits to Dr. Gygax his reason for coming here - to check for an employee that is dealing in dangerous trade. Watson was sent off to come back tomorrow. Watch how Gygax in a few moments diagnosed the fake Amos to have a personality breakdown and related paranoia. The man was taken away by the male nurses. This event has untoward effect on the female patient. Examination room (Leitung): The female patient is on the table and is being treated. You as fake Amos are leaning forward on a table. Take the bottle of sedative. Take the syringe with sedative and then use it on the glass of water. If you miss getting the sedative bottle, you can pick it up later in the game. Cell: Holmes says to learn if the London kidnappers have accomplices here. Holmes has removed his Amos disguise. In items, see the hat, topcoat and hairpiece. In Documents, read Answer from Mycroft and Strange Poem, the translation of the temple stele message. Check the other occupant of the cell. Take the meal tin and spoon on the floor above the sleeping man. Make a fake body - Go to the empty mattress. Place the yellow jug and bolt of blanket on the mattress. Place hat on 'head' and coat over the 'body'. 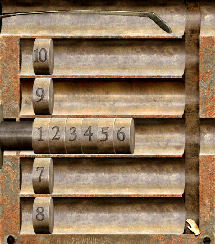 The object of the puzzle is to arrange the numbers in the right order from 1- 10. The rows immediately above and below the numbers allow insertion of multiple numbers. The top and lowest rows allow only one number. The numbers have to be inserted in sequence. Click hold and insert a number in a row. Below is one solution. Door opens. Laboratory (Labor): Exit the cell. The door on the left is locked. Turn to right and go forward pass an archway on the right. Turn left on the corner and see a note on the left by the laboratory door. Read the note by Dr. Gygax. Enter the lab and Holmes warns about being careful or finding a way to neutralize the nurse, maybe put him to sleep. Press the Ctrl key to crouch down as seen by the silhouette at bottom left of screen. Crouch forward to the first workbench on the right. At the bottom shelf, take 3 syringes: 12mm, 15mm and 18 mm in diameters. Crouch around and see a scale on the top of this work bench and a doll on the left by the wall. You can pick up the doll now or later. The male nurse is in the grilled chemical-drug room. Exit the room. Maurizio: Go left - you can uncrouch now; press the Ctrl key again. Maurizio got hold of Holmes. Talk to him; he wants the crowbar left by the workman that fixes the pipes at the maintenance room at end of corridor. If you do not give him the crowbar, he will announce your presence. The key to that room is on a crack by the door. Maintenance room: Go forward to end of the corridor. Read the note by the door. Click on the crack left of the door to get key. Use key on door and then enter. See an anvil on the floor on the right. Pick up the iron-crowbar from floor. Pick up the anvil now or later. Something to neutralize the male nurse in the lab - Go to the box right of door and pick up the caliper. Go to other corner of room and see 4 pipes on top of boxes. 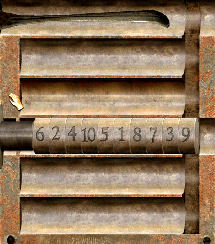 Measure each pipe using the caliper and see that there are a 10, an 18, a 16 and a 22 mm in diameter pipes. You have a 12, a 15 and an 18 mm in diameter syringes. You need a bit of space to place the syringe in the pipe. 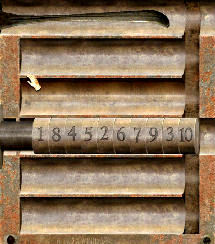 Take the 16 mm (or 40 pts) in diameter pipe. Combine the sedative and the 15mm syringe. Then combine that 15mm syringe with sedative with the 16 mm pipe to get a blowpipe. Exit the room. Maurizio: Go back to Maurizio and give him the iron-crowbar. Watch as he breaks the lock and warns Holmes not to get caught or they will take you down below, to the depths of Hell. Hear the male nurses spot Maurizio. Laboratory (Labor): Enter the lab and crouch down. Take the blowpipe from items. Crouch to the middle of the workbench closest to the nurse. Automatically, Holmes uses the blowpipe. The nurse goes down for the count. Enter the drug-chemical room. Look close at the sleeping nurse and take the note-letter from his body. Read the letter in documents and learn about Gygax and stones. Look at the 2 canisters right of the nurse. The one on the right is potash which can be used to make a spectacular smoke when combined with chlorine. Look at the shelf and see pink crystals. You can take the pink crystals now or later. Take the Black Edelweiss metal box similar to the ones sent to London behind the pink crystals. So, this confirms the source of the drugs in London. To the right of the shelf are chlorine bottles. Turn around and read the ledger-Blensmoth book left of the gate. Under the book is the letter from Schnitzer of Grasshopper Company of Zurich to Dr. Gygax concerning a discount of items usually ordered by Gygax that they overstocked for future transactions with the doctor. Exit the lab. Examination room: Time to check to see what happened upstairs after Maurizio's incident. Turn the corner, go through the side hallway and take the stairs. Pick up the bunch of keys on the floor by the left door. Go to the other door across the stairs. Holmes warns about needing to not be noticed. Go to the cabinet on the left and see that it is locked. Use spoon to open the cabinet. Take a white coat and automatically be wearing it. Look around and see a water fountain on the corner left of the door to main reception room. To save time later, use the meal tin on water to get a meal tin with water. The other exit has a male nurse standing reading a note on the wall. Exit out of garden and look at the doors across the corridor. Read the name above the door on the left and see that it is Fraulein Muller's room. Exit back to the examination room through the door at end of the corridor. Check other patients: Go downstairs back to the lower patient cells and turn to the hallway where Holmes was imprisoned. Use the bunch of keys on the door left of your old cell. Talk to Gerda twice at end cell. Heidi left her. The door to the laundry is not accessible. Go back through the door and turn the corner by the lab. Go forward and left pass the maintenance room. Use the key to unlock the door at end of the corridor. Go pass the first left aisle and go forward. You might see a male nurse going around. Holmes says to take care of the nurses so that he can freely talk to the patients and go around. Let's see if we can put into action what Bauer at the aviary wanted. Becker - Go left to first cell on the left of the second corridor. Talk to Becker. He's wearing a straightjacket! He wants pink crystals. If you haven't picked it up yet - Go to lab and now you can take some pink crystals. Go back to Becker and he says that pink crystals needs to be dissolved in water. If you haven't yet, go back to the garden aviary and use the meal tin on the water at the fountain. Combine the pink crystals with the meal tin with water to get Becker's medicine. Give Becker his medicine. Talk to Becker and Becker says that the girl that wants the doll knows where the key to the aviary is located. Gerda - If you haven't picked it up yet - Go back to the lab and now you can take the doll. Go back to Gerda that wants Heidi. Her cell is through the door left of Holmes' old cell. Go to the hallway pass the lab, pass through the door and talk to the patient at far left. Give Gerda the doll. Learn what she did to the bad man and why. Find out that the aviary key is in the bad man's room across the aviary. But it is the female's room now. The key to that room is hidden in Heidi's stomach so that the bad man will not come back. Heidi gives Holmes a present - the key to the female's room. Fraulein Muller's room - Go back up the stairs and out to the corridor across the garden. Look up to read which room is Frau Muller's. Use the key to open door. Look around the room. Take the hanging macramé pot holder right of desk. Take the macramé wrapped blue bottle, paper on desk and spectacles. Read the paper-note in documents. Go to the last room with the cabinet. Take the key from the white shirt hanging in the cabinet. Time to free the birds - Go to the aviary and use the key on the lock on the cage left of the female patient. Oh My - what a ruckus! At least Bauer is insanely happy! Holmes says that it is time to search the rest of the asylum. Kitchen: Go around to the other corridor across the garden. Read the note left of the door to the kitchen (kuche). Seems like they have problems with fire here. Try entering and Holmes says something about a making smoke to cause Frau Mayer to leave. Make a smoking device - Go to the fountain and fill blue bottle with water of fountain at the garden. Go down to the lab and enter the chemical room where the sleeping nurse is. Use the meal tin on the potash to get meal tin with potash. Take red bottle of chlorine from shelf. Go to the workbench close to the door. Use the meal tin with potash on the scale. Now that has the correct amount. Place the bottle of water on the scale to know the capacity of the bottle. In items, combine the measured bottle of water with chlorine to get bottle with chlorine. Combine the measured meal tin with potash to the bottle with chlorine water to get smoking device. Go back to the kitchen and click the smoking device on the door. Hear the cook yell 'fire'. Enter and look around. Take the truss for roast beef on the table and the note on the table by the left wall. Read the note to learn the bell signal for the tray - 3 short then a long will send the lift back to the doctor's office. It will be blocked at the first basement and have to go down to pick it up. Second basement: Go down to first basement and talk to Becker. Learn about the foreigners that arrive and disappeared. They speak different dialects and not understanding each other. None are mad. Later when they were downstairs, they would speak one language repeatedly. Enter through gate - Go to the gate at end of corridor. Study the 2 levers: the left one opens the near gate and the right one opens the far gate. It needs 2 people to get through to hold the levers. If you have not done so - Go to the maintenance room and pick up the anvil. Take the rolling table-trolley right of Becker's cell. Hold down the right lever - Place the rolling table-trolley under the right lever. Use the macramé pot holder on the right lever. Use the anvil on the pot holder. Now they are supported by the trolley. Use the truss on the trolley and it will automatically be stretched out on the floor to the inside of the gates. Pull the left lever to open the gate here. Enter through and then pull the truss rope on the floor to pull out the trolley holding the anvil up. The anvil drops and pulls the lever to open the far gate. Voila! Go down the winding stairs. Wolff: Go forward to the first cell. Try to talk to Wolff, another patient in a straightjacket at first cell. He does multiplications. He talks only to a Professor Schwartz. Holmes says maybe seeing his medical files would be helpful. See signs pointing to Gygax' office. Go to the corridor on the right and forward to the end. See Dr. Gygax' office is locked. Disposal Hole: Go back to the nearest intersection of corridors and turn the corner. Right to another corridor and try to enter the room after Sigmund's. Lock - This is the same principle as the lock in Holmes' cell. Use the spoon and see the numbers. Enter and look at gruesome things. Look down the well and see where the victims are disposed. Take the key on the ground left of the door. Exit and go back to Dr. Gygax' office at the end of parallel corridor. Dr. Gygax' Office: Use the key on door. Enter and take the poker left of the fireplace. Go right of door and see a table close to the sink. Check the 'Worship of Ghouls' book and the skinned head. Open the cabinet left of the head and read Wolff's record. Get a photo of Prof. Schwartz. Go to the other side of the desk. Take the classroom key and the note on the desk. Read the Burgher's letter to Dr. Gygax in documents to learn about the Swiss bank's auction of Gygax' jewels and the amount collected. Use the poker to open the top right drawer of the desk. Take and read the notes in documents: Letter from various banks concerning more stone transactions and about a handwritten letter concerning the master. It smells of iodine. Read the personal notes of Holmes. Go to the back side of the desk and take the telegram by clicking on the microscope. Read the telegram that is on the table. Read it in documents to see the delayed connection to New Orleans. Experiment room: Use the poker on the door left of the cabinet. Enter the room and look at the blackboard. It has phonetic lessons. Look at the surgical bed's head brace. Go to the other side and see the battery with crank starter to stimulate patients. Go to the table at the corner and read the notebook that has Gygax's experiments' notations. Check the bird used for experiment. Check the documents to update what is seen. Exit this room. Go out (use the map) and exit this place, climb stairs and press the lever on the right wall to open the gates. Becker: Talk to Becker about Wolff and learn that Prof. Schwartz died long ago. Holmes refers again about Wolff's medical files. Classroom: Go down the corridor away from Becker's cell. Turn right at the corner and use the classroom key on the door at right. Look around and go forward to the corner. See the punishment corner where stocks are located. Go to the book case and take the false beard from the middle shelf. Take the paper from the desk and read it in documents. The letter from Prof. Herzog refers to an anonymous patient. Holmes says to check Gygax' medical files to find out. Dr. Gygax' Office: Go down to second basement (use the map) and then to Gygax' office. Look in the file cabinet. Take the file with an unlabelled (?) tab. Read about a patient that was found by riverbank and is mute and amnesiac. The patient has an aptitude for lessons. Wolff: Take a look at the photo of Prof. Schwartz in documents. See that he wears glasses and has a beard. In items, combine the false beard and the spectacles to make Prof. Schwartz disguise. Go and talk to Wolff. Talk about the foreigners and where they meet. Where the foreigners meet - Wolf says that Dr. Gygax has the code: Fire near his office, fire in front of me and fire behind me. Go to the corridor outside Gygax's office and push the torch left of the door. Go to the wall in front-across Wolff's cell and push the torch. Go to the corridor by the Disposal hole room and push the torch across the door. The crazy hermit: Enter and see the hermit that is referred to in the handwritten letter found in Gygax' drawer. Recheck it in documents. The hermit expounds on reverence to 'One'. Quiz: - After talking about the eminent arrival of the 'One', the hermit asks: Who am I? Review the handwritten letter and the Strange Poem that is the translation of the message on the temple stele. Type - Light of Abyss. Press check key or arrow. He talks about the Great one. The Great One returns! He is so loud that it alerts the male nurses. They are coming! Escape: Immediately go to Gygax' office at the parallel corridor. Enter the office. Go to the right far corner left of a curtained wall. See 2 bell pulls. The one on the left is short and the one on the right is longer. Remember the note taken from the kitchen about the lift - recall the code for calling the lift. Pull the left short bell pull 3 times, pull the right long bell pull once. The lift opens. Enter and be at the laundry room. A male nurse is at top of the stairs. Meet Holmes' archenemy: Pan right and go to the cell of the anonymous patient referred to by Prof. Herzog and has the unlabeled medical file. Use the spoon on the lock of the cell. Enter and try to talk to the patient. Moriarty. The one Holmes had the struggle with at the waterfall in Reichenbach. The male nurses are alerted by Gygax. Gygax wants the intruder caught so he can take care of his memories. Holmes urges Moriarty to remember his archenemy -- Sherlock Holmes. This causes a rage that makes Prof. Moriarty chase the men. The men flee from the raging madman. Go forward and right to climb the stairs. Go forward (left) to the far shelves. Turn right and take the Amos' disguise of hat and topcoat. Exit through the door. Watson and Supt Bilger arrive. Watson takes the fake Amos in custody. He finally recognizes Holmes, who is white as a sheet as though he met a ghost. He did. Train: Holmes still does not know the when, where, how of the matter and needs to pursue it further. Quiz: Type in the answer to the question - Where should you go to continue your investigation? New Orleans. Click arrow or press enter key. A young boy enters with a puzzle box. Holmes opens the box and hands it back to the boy. Watson says 'it is often necessary to use all of one's little gray cells to solve great mysteries. Mrs. Poirot calls the young boy, Hercule. Watson and Holmes walk down the ramp to the City of New Orleans. They need to change some currencies. 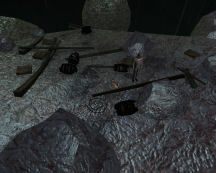 The items has knife, matches, bill of exchange, money and broken statue. Look around the Port District and see the Louisiana Nymph riverboat-pleasure boat. The Sheriff's building is on the left side road. Go to the right road and forward to the bank. Bank: Talk to the bank guard and learn that Mr. Blackman just had a jewel sale and will be back in 3 days. Use money on guard to get him to talk. Learn about Champagne, a Cajun that knows what goes on around here. Champagne hut: Follow the Cajun Quarters arrow signs. Enter the gate right of the sign and left of the stairs of the port. Enter the warehouse pointed by another sign and exit to the other side. Go forward pass the workers and enter-exit the warehouse pointed by another sign. Go forward until the Saloon archway. Cross the boardwalk over the swamp until the end. Talk to Champagne guarded by Napoleon and Lafayette. Give him some money to help him talk. Learn about the gems bought by Ashmat and the silent partner in the jewel sale named Arneson. 5 days ago, there was a ship that arrived at night and met by many boats from the swamps. Walk back or jump to Pub. Thief: Right after crossing the Saloon archway, a thief took off with the suitcase carried by Watson. The chase is on. These are just basic description of where the chase occurred. The thief usually waits and you can see where he goes. - Enter the warehouse and out the other door. - A tractor blocks the path. Climb the steps on the right and open the side gate. Walk around the tractor to follow the thief. - Cross the ramp with hanging bales and board the boat. Go pass the crates and boxes and right to the planks. Look left and up to climb the waterwheel. - Go right on the balcony and jump down to the ground through the broken railing at end of balcony. - Go to the balcony behind the dog and around to the other side. See the planks fall to the water. Look up and grab the net with green stuff inside to get to the other side. - Enter the warehouse with the sailor sweeping the floor and out the other warehouse door. - Enter the Chinese Quarters gate left of the man. Climb the ramp that tilted and jump down to the ground. Go forward. - Climb the other end of the platform with boxes on it. Push the 2 boxes off the platform of the pulley setup and the platform rises to the next level. - Go around the room of the building pass a sleeping Chinaman and down to the ground on the other side. - Climb the stairs at other side of the yard to go up the balcony. Turn right and cross the green roof of an archway to get to the next building. - Look left and climb the slats to the top balcony. Go forward to enter the building. - Be inside the sleeping rooms of Chinamen. Exit to the left, take the left corridor to the end and see a closing door. - Go through the door and then another door to be in the next building where a man is cleaning the floor. See the thief outside. - Go outside, jump over bales and right over a ladder to go to ledge of next building. - Go forward, cross the bridge that span the road below. Go forward on the ledge of the building and left to go inside. - Jump down and see a black man working on the left. Go up the stairs on the other side. - Go forward around the hallway. You are now in a big room with a man working by the wall. Climb the metal ladder at center of room. 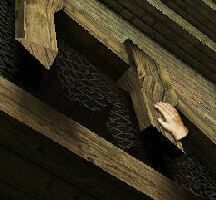 - At top, turn around, forward and see the thief cross planks to go to the other building. The plank breaks. Turn around and click on the sack suspended on a pulley to cross to the other side. - Go forward on ledge and enter the entryway to be on covered rollers and planks. Climb the ladder on the right at end of the ledge. - Go forward pass the planks and through the break in the wall. Go down to the floor of a room with a giant fan rotating on the left. A man is cleaning the banister of the stairs on the right. Climb up to the rotating fan. Push the rusty metal structure on the fan to stop it. Walk on the right side of the fan to get to the other side. - Go forward and down the chute to end up in a yard where there's a sleeping man. - Exit through the door on the fence at right. Sheriff: Go forward and meet the sheriff and his deputies while the thief behind them runs away. The sheriff recognizes Holmes and Watson. A woman on the top of the riverboat looks down for a few moments. The sheriff is definitely interested. Holmes and Watson are told to be out on the same ship that took them here. With open arms, Watson? Look for Arneson: Use the map to jump to the French Quarters. See a woman in front of a gate down the road. Walk there and she leaves. See the gate with bison. Ring the bell. The maid Eulah shyly comes back and talks to Holmes and Watson. Her brother Davy has not been seen since 5 days ago. He does not talk and they make contact at the stables. Stables: Use the knife to open the door. Enter and see a horse dying of thirst. There are nails on the table. You can pick the nails now or later. Exit through the other door and be at the side of the house. Gardens: Go to the front and note the well taken care of flowers. The front door is locked. Go back to the side of the house and pick flowers: Incan (Peruvian) Lily, Bluebell and White Lily from the left side. Continue to the back and pick metal rod from the flower bed left of the fountain. Go near the steps to the back door and see a raccoon. Tracks and blood - Look down on the ground before the steps or porch. Use magnifying lens to see blood from superficial wound and a trace of mud. The hunt is on. Follow the footsteps through the path in the garden. Before the gate, see footsteps. Use magnifying lens to note that someone came in and then came out dragging a body of great size. There are traces of mud by shoes with thick soles. Go out the gate and get swarmed by mosquitoes. Turn back to house. 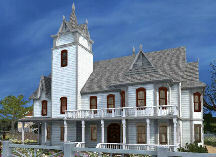 Arneson's House: Go back to the porch and enter the back door. Look down and see blood. Enter and note foul stench of death. Kitchen - Enter the door across the back door. Look around and see ham on the table. Holmes will tell Watson to use the basin on the sink. Horse - As Watson, go outside or use the map and use the basin on the water in the fountain. Take the basin with water to the horse in the stable. Click the basin with water on the horse's head. The horse stands up after drinking. Pick up the hammer under the horse. Go back to Holmes. Servant's bedroom - Exit kitchen and go left. Go forward to the hallway by the doors across the stairs. Look down on the floor and use the magnifying lens on the footsteps. Move it around until fingers marks are seen on the footsteps. Holmes will note that a youth picked up something from the floor. Enter the room and look around. See the clothes on the bed are from a small servant. Look at the picture on the wall of Arneson with servant. Look at the muddy footprints at foot of bed. Move the bed to see something on the floor. Use knife to open the wood board. Take the ruby. Exit the room. Hallway - Follow the footsteps towards the end of hallway at right. Midway see footsteps. Examine footstep to note that a person of small stature walked with stealth. Closed door - Go forward to the door. Look at the blood in front of the door. It came from a deep wound. Try to open the door, hear something and Watson says it is useless. Dining room-parlor - Enter the room across the hallway. See a body on the floor. 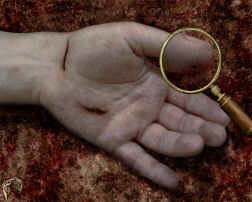 Examine the right hand with magnifying lens and deduce that it is the gardener. Check the liquor cabinet left of the entryway. Take the champagne bottle. Look at the picture of Arneson with cigar and a dead bear. Look at the fireplace and see burnt paper that will not help. 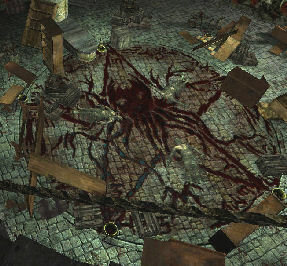 Check the candelabra on floor with blood close to dining table. Check the table with ashtray to note a man likes cigars. Check the toppled chair and note that a big man was dragged from here. Go towards the door right of the fireplace. Look down at baseboard close to first window. The blood is made by a sharp blow. Exit through the door right of the fireplace. Look down at the blood in front of the door. Climb the stairs and enter the first door. Master bedroom - Look at the writing table on the right. Take and read the paper in items. It is a letter from L. Lakofka about Davy. Davy's muteness is caused by psychological trauma. He has great memory for figures. Go to the bookcase. There are 2 books that are of interest. Check documents to read about Tales of Fantastic Hunts by D. Niles that talks about a beast in the swamp and mutilated bodies. Read Flora and fauna of Louisiana: pg. 12 that talks about mosquitoes and the use of lemon, pg 54 that talks about raccoons that nest in branches of trees and likes carrion. Go left to the table by the window. Open the box and take the 40 cm L x 18 cm D metal tube without defects. Exit the door and look at the lemon tree or pick up the lemon tree. Go to right of the bed and take-read the New Orleans Star clock puzzle from 5 days ago. 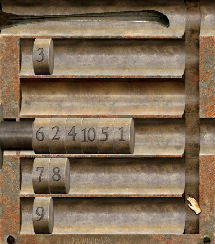 Look at puzzle in documents and study the numbers. They are clues. Safe - When all items have been examined and picked up, the safe is revealed. 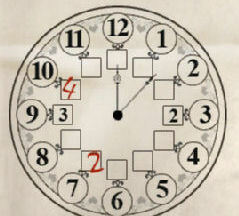 The clue to this puzzle is based on the newspaper clock puzzle. Check the relation of the inner numbers to its corresponding outer numbers. 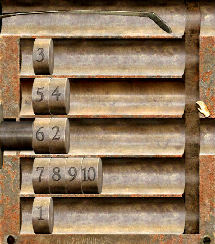 The inner numbers are the numbers the outer number can be divided. Click on the cross shaped handle. Take key. Look at gun. Just a reminder: Study the outside of the house and what rooms have been found inside the house so far. Trophy room - Exit the bedroom and go to the other door. Use the key taken from the safe. Enter and hear someone screaming. Watson says it's coming from the stables. Stables - Go to the stables. The doors are barred from inside. Turn around and take the log to use as battering ram. Use log on stable door. See the maid hanging from the ceiling. Watson helps Eulah down. There's a note pinned on her. Read the menacing note in documents. It's a warning. Go back to the trophy room and look around. Table with a hole at center - Go to the table left of the sofa. See a hole at center. Place the metal tube taken from the bedroom on the hole. See a reflection made by the doily on the tube. It's the picture of the fresco with words - Only the best gunman can earn the finest arms. Goat's head - Take a look at the goat's head on the wall. The plaque states 'My Best Trophy'. The goat's head is missing a horn. Go to the desk by the window. Take the horn and look at the picture. Arneson is not there. Place the horn on the goat's head and it opens to show a picture of Arneson with a lady. Fresco - Look at the sinister fresco. Click on the eye of the beast on the rock and see that it is a hole. Go back to center of room and hear a click. You are standing on a pressure pad. If you haven't yet, go back to the master bedroom balcony and pick up the lemon tree. Go back to the trophy room and place lemon tree on the pressure pad seen above. Go to the beast on the fresco and use the metal rod on the eyehole. The secret door opens. Secret room - Enter and look at the barred gun cabinet on the far wall. Take and read in documents the 2 papers on the desk. One is Arneson's note about Ashmat and the foreigners and the conversation the gardener overheard. The other is Northwood Agency letter showing collaboration with what is investigated in Europe and the jewels. Take a look at the picture on the desk. It is a signed picture of Lucy. Exit the room. Davy - Go down the stairs or use the map and see Davy. He immediately bars himself back in the room. Go to the stable and talk to Watson and Eulah. Eulah talks to her brother through the door. They enter the room. Watson treats Davy. After Holmes summarizes what happened to Davy, Eulah says he's a Hoodoo man! Davy writes on the chalk board the numbers he saw on the paper that saved his life. See the numbers in documents. Pier - After delivering Eulah and Davy to the Gallaghers, Holmes and Watson venture out the back gate but are stopped by mosquitoes. Go back to the trophy room and take a lemon from the tree. Go back to Watson and give him the lemon. Go down the path until a large pool of blood. Look at it for Holmes to do his deduction. Arneson right hand was cut. Go forward until end of pier. Look down at the rope tied to the post at end of pier. How can we get to the swamp? There's an old man... We also need to visit a lady. This happens only after everything has been done in the house. Use the map to go to the Port District and see the sheriff with his deputies menacingly advance outside the Arneson house. Run, Watson, run. Madam - Go talk to the Madam at the Louisiana Nymph riverboat. <choke> She won't let anyone without money talk to her girls. 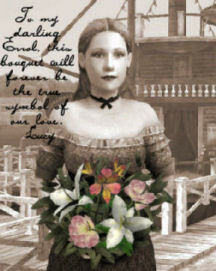 In inventory, combine the 3 flowers to make a bouquet of flowers like the picture of Lucy. Give the bouquet to the madam. Lucy - Lucy comes out. If only one flower is given, she will not talk to Holmes. If the bouquet was given, she recognizes that it came from Arneson and she will talk. Learn that Eroll arrived in N'awlins 2 years ago to hunt something in the swamp. They met and they will be married as soon as her debt to madam is paid. He has a secret room that you already found out behind the fresco and that there's a safe that can be accessed in the gun cabinet using Eroll's signet ring on his right hand. 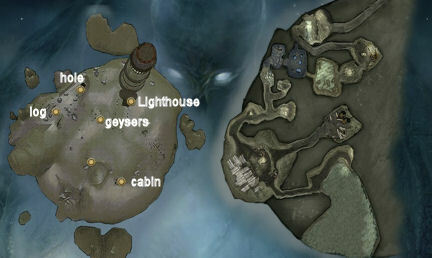 Champagne's hut: Use the map to jump to Champagne's hut. Talk to him and he would not take the two to the swamp at night. Give him the champagne bottle and that payment only get planks and a bullseye lantern; not a boat. Find a way to pay this man. French Quarter - Arneson's House: Watson questions Holmes' intent. Quiz - Who has Arneson's signet ring? Raccoon or racoon. Press enter or click on arrow. It's simplicity itself. Raccoon - Go to the kitchen and take a ham slice. Go to the steps of the back porch and look at the raccoon footsteps just across the big tree. Place the ham slice on top of the raccoon paw steps. Watch the raccoon and find out where its nest is located. If you haven't yet, go to the stable and take the nails. Go up to the balcony off the master bedroom. 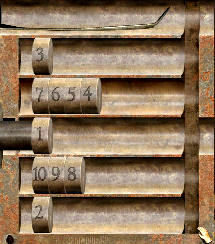 In inventory, combine the planks with nails. Then add the hammer to make a ladder. Click the ladder on the bench by the wall. Climb up. See the raccoon nest. Click on - get the signet ring. Secret room - Go to the room opened by the fresco puzzle. Use the signet ring on the initialed lock of the gun cabinet. Take the money from the red box and an elephant gun. Now, there's money to pay the fisherman. Exit and go down the stairs. See the sheriff and his deputies. Escape - Enter the master bedroom. Go out the balcony. Take the ladder. Click the ladder on the railing of the balcony across the fountain. Watch the escape. Champagne's hut: Arrive at Port Quarters. Use map to go to Champagne's hut. Talk to Champagne and give him the money. Holmes asks about Rich parish. He says to stay close to shore at the river. Holmes also request to tell the ship to wait for them until 8 AM. Old Sam's racks have blue and white ropes. Boat trip - Be sure to review Arneson's note in documents: Search among branches near Old Sam's racks. Pass in front of demon rock. Left in front of the jellyfish. See Holmes holding a lantern and Watson on the oars. Go forward and keep an eye out for the blue Old Sam's rack lines. Stay close to the left shore and take a left at the first intersection. Row forward and follow Arneson's note. At jellyfish tree, Watson notices crocodiles. 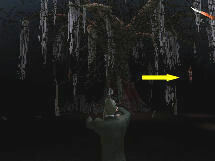 To get the crocodiles out of the way, use the elephant gun on the body hanging on the right (see yellow arrow in the picture). Row left of the jellyfish tree. Forward until shore that has boats, skulls and totems. Sacrifice area - Go ashore and see Arneson on the slab at left. Look around at sleeping huts on water and other gruesome things. A crazed man comes out. Watson takes care of him. Enter the main hut and see the idol. Look down on its base and place the broken statue on small round pedestal. Get an idiom book. Go back to Arneson and click on him. They automatically go back to Champagne's hut. Watch Lucy sees Arneson, Madam is convinced by Holmes and Champagne is to take care of the things at Arneson's house. Sail back to London: Holmes is interrupted by Watson. Holmes told Watson to decipher Davy's ciphers. Baker St.: Holmes got a message from Mycroft. Read the message in documents. Learn that the investigation at Black Edelweiss showed what Holmes reported. Gygax took cyanide. No trace of the Hindu. It also explains where the gems came from and describes what happened to Lord Rochester's family. The employer of Northwood detective agency investigating the gems is a female. She might be the late Lord Rochester's American wife that died recently. Davy's cipher - The first 9 numbers with a backslash at the end is an example of how the rest is decoded. 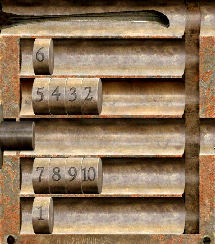 687954312/ - See that numbers 1-9 are present. Start separating numbers until a number gets repeated. Then check which number is missing from that set. Quiz - What is the solution to the code written by young Davy? Type on your computer keyboard 56436 6134. Click enter key or the arrow. Holmes is having problems interpreting the idiom - Accursed book text taken from the swamp. See it in documents. According to the book, if one is to make this mark with human blood and with conviction, recite this verse. Barnes Bookstore: Holmes has the idea to check with Barnes to help interpret the accursed book text. Give Barnes the Kgwhman Kadwlun book. Holmes pointed out the 2 pages he wants translated. Newspaper: Go to the newspaper boy and get a copy of the Strand. Read about missing ships on coast of Scotland and Ireland. Read also on the second newspaper page about an heiress in France robbed of a fortune in gems. She showed the thief a secret passage in her house that leads to the train station. 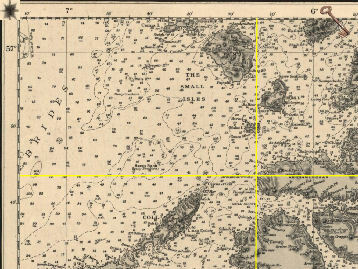 Where to go to get a chart of the Scottish coast? Wharf 13: Jump to Wharf 13 and talk to the bartender about the Scottish coast. He gives a key to the backroom where there is a chart of the Scottish coastline. Use the key on the door on the side of the bar. Go to the very back and look at the paper and chart. The picture of a young Lord Rochester is taken. Scottish coast chart - Look at the chart. Scroll the chart by left click-hold and move the mouse. Use Davy's decoded cipher as longitude (vertical) - 5.6436 and latitude (horizontal) - 6.134. Click at the point of intersection. Use the shape of the islands in the picture below as reference. The point of intersection is at the coast of Ardnamurcham. Talk to the bartender about Ardnamurcham. He says that the lighthouse at Scottish coast was above a pirate's hideaway. The lighthouse was made by a Stevenson and that it has strange symbols and statues. Barnes Bookstore: Go back to Baker St. and the newspaper boy says that Barnes wants Holmes immediately. Go to the bookstore and learn what Barnes has translated. He described a terrifying sect and an ancient rite that worship a leviathan, asleep in a strange city under the sea. The sect is going to waken the destructive leviathan when the stars are in alignment. Each nation of the world shall be represented, recite the invocation in a place that is natural rock and surrounded by water. The intent is to swallow the earth - the end of the world. Amidst stormy waters, Holmes and Watson arrive at the lighthouse. See people thrown down the top of the lighthouse to the sea. There's a Bullseye lantern in items. Check the area: Go to the lighthouse at left and climb up the steps. Check the 2 sphinxes and see that their faces have been smoothened and blackened as the messenger in the translation. Take the iron bar on the base of the right sphinx. Try the door and note that is closed from the inside. Turn around and see a structure straight ahead by the cliffs. Go there and see a destroyed structure. There is a barrel of fresh water on the right and a pail on the left outside of the building. Inside, pick up a worn rope on the floor. Go to the right side of the area while facing the lighthouse to be on the coast. See wrecks of ill fated ships. If you have not gotten the destroyed building's rope, there is another worn rope here to be taken. You can only take one or the other. Pirate's hideaway: Remember that the bartender at Wharf 13 state that there's a pirate hideaway under the lighthouse. Three geysers - From the water side, face inland and go forward to opposite side and see 3 geysers. Holmes says to remember what MacGrinty's man said before they slit his throat. Review Desperate Pirates book in documents. There are 3 pages. "From the middle of the three throwing mouths, 30 steps toward ram'. Stand at the center of the 3 holes, face the ram like rock and walk forward until Holmes says you're there. Rock - Use the iron bar on the rock and see a hole. Pan left and use the rope on the other rock. Automatically enter the hole leaving Watson above ground. Holmes falls down when the rope breaks. Holmes asks for the iron bar and Watson throws it down. The iron bar got caught on the wall. 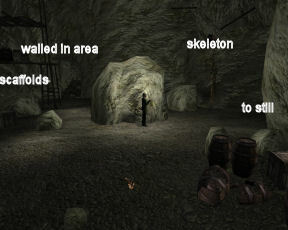 Entrance to pirate's lair - Go forward, see a slab on the wall and a skeleton. Take the old dagger of the dead pirate. Use the dagger on the stone slab left of skeleton. The dagger breaks. Click on the slab again to open it. Enter and see the pirate's hoard ahead. 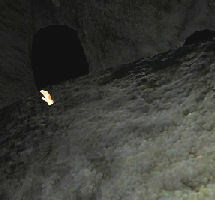 Lair - See scaffoldings, crates and entrances to other caves. Still - After arriving here, go right and forward to the hanged skeleton. Touch it and it drops. Take the empty flask. Look up and see the hook that held the skeleton. Follow the rope to the wall at right and see that a panel is active for later use. Go forward and enter the still room. See that the gate is broken off. Look close at the skeleton on the right. Take the hipflask with rum. Ugh - Holmes took a taste. Go forward and take the big funnel from floor. Go to the other side and pick up the rusted piece of gate that can be used as ladder. Exit the cave and go back and around to the scaffolding left of the boulder. 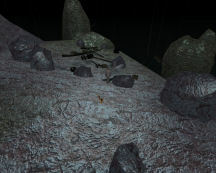 Scaffolding area - Go to a crate on floor by middle of the scaffolding and left of the giant boulder at the center. Use the broken dagger on crate and take sails that can be used as rags. Barrel - Go forward behind the boulder and see 2 beams or planks at right. Click on them and Holmes will say it came from above. Look up and vaguely see something up the rock ledge. Climb up the planks to be at a closer ledge. Look up and move the cursor to get Holmes say 'there is something here'. Light up the barrel - Go back to the hook holding the skeleton. Now that you have clicked on 'something here', use the lantern on the hook. Go to the panel at the end of the rope and click it to turn and face the 'something up there'. Go back to the planks-beams. Click the gate-ladder on the ledge above it and climb up. Look up and use the empty flask on the barrel to get flask filled with powder. Go down and go back and get lantern by lowering the hook. Walled in area - Go forward to the left of the scaffolding and see a cave that is partially blocked by boulders. Climb up and over the boulders. Walk over a plank bridge to the other side. If you have done everything in the main cave, the planks break and also the lantern. Go forward once and see that there's a way to the left as well as forward. Go forward and Holmes will wonder about Watson. Look up and see hole above. Use the big funnel on the hole above. Holmes calls Watson and asks for matches. Go back, turn right and then see that there's a way to the right as well as forward. Take the right and see where the pirates congregated. Take bones. In items, use the rags with hip flask to get rag soaked in alcohol. Use that with bones to get bone torch. Light it with the matches. Exit and go right to the end. See a crevice to the other side where something red is on the ground. Click on the boulder on the left side and Holmes says something like it needs to be moved to go further. In items, use rag on flask filled with powder to get bomb. Use bomb on the rock on the left wall of the crevice. Crank machine - Walk over to the other side and take the red leather belt of the skeleton. Go forward. See a closed gate and a machine on the left. 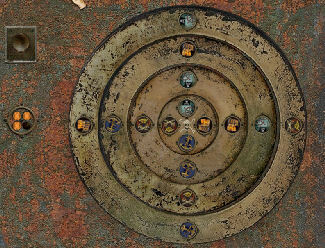 Look close at the machine and see a button on top left, 4 small circles (one is lit) and the big circle with 4 rings. The rings have 4 different pictures. The aim of the puzzle is to light all the 4 circles. Turn a ring and click on the top left button to see how many circles are lit. Leave the center ring with the skull as is - with the skull upright. Turn the next inner ring twice and then press the top left button. See 2 lights. Turn the outer ring three times and then press the top left button. See 3 lights. Turn the third ring from the center twice and then press the top left button. The puzzle is solved with 4 lights. The picture below is before the top left button is pressed. See that the lever on the right is padlocked. Take the big stone from the ground and use it on the padlock. 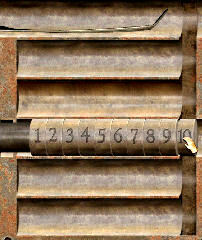 Place the leather belt on the wheel at bottom left of the machine. See it makes a belt for the 2 wheels. Pull the lever and the gate rise. Take the leather belt again. Go through to the next cave. Holes on the ground - Look down at the holes on the ground and he will say that there is an underground river down there. Drop a lit torch on each hole. Find one that Holmes comments on as 'yes, there is something here'. It is the top right hole with your back on the entrance. Use the leather belt on the rock at center and automatically go down the hole. Watery cavern - Make another torch. Go forward and walk on the shallow water. Go left and see an exit blocked by a rock. Take the wooden leg caught by the rock. 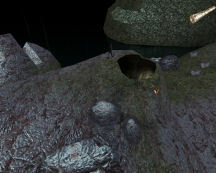 Go back to center of the cavern and go between the protruding rocks. Go to the left and forward to a gate. Gate - Look down and see a footprint on the left and a hole on the right. Holmes comments that only a peg legged man can open this gate. Take the wooden leg from items, step forward to stand close to the gate and then use the wooden leg on the hole. The gate opens. MacGrinty himself - Holmes makes a typical comment. Go forward and click on a chest in front of MacGrinty on the throne. Take the saber held by the right hand of the skeleton. Turn around and go through the right cave. Lighthouse way: Holmes reaches the end of the path. A ledge is across the river. Look up and click on the hole above. Holmes calls to Watson and then asks for the mast from the wrecks by the coastline. Log Area, the hotspot is in front of Watson. Thanks Texaslady! Pick up the log and bring back to the far hole on the ground. Drop the log and see it make a bridge. Click to go across the log. Go forward to and climb the metal rungs on the wall. Exit to horror. See a crazed Ashmat. Lighthouse: Go forward and see buckets all around that emits poisonous gas. Go to the door and open it to let Watson in. 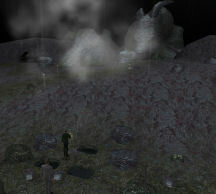 Poisoned gas - Exit the lighthouse and go to the broken building at far end of the clearing. Before the building, turn left and take the bucket. Go to outside right of the building and see a barrel with fresh water. Use bucket on barrel to get bucket with water. Go back inside the lighthouse and use the bucket with water on the poisoned gas buckets. Ashmat starts shooting at Holmes and Watson shoots back. 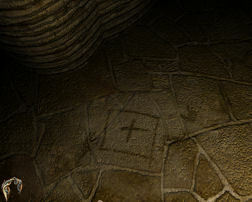 At far left of the circle close to a poisoned bucket, see a lever on the stone column right of the stairs. Pull lever and a crate drops on Ashmat. If you have not finished all the poisoned gas, do so when Ashmat runs up the stairs. Sign of the Great Old Ones - Climb the stairs and at the landing look down. See the pentagram and the leviathan at the center. 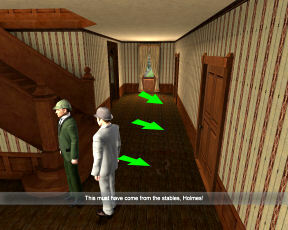 Go up to the next floor and Holmes says that 'belief is his strength, perhaps it is also his weakness'. Pick up the white panel (brown colored) on the left close to the stairs. Holmes needs blood. Use the white panel on the pool of blood at top of stairs. Sign puzzle - See bloody squiggles on the left and blank space on the right. Click on a squiggle and it is reproduced on the blank space. The aim of the puzzle is to draw the sign of the Great Old Ones. Click the squiggles that are in the yellow X of the picture below. Go forward towards Ashmat. Watch Holmes use the sign and chants. Ashmat collapses. Go to the top of the lighthouse - Climb up and be blocked by a door. Use iron bar on door. Enter and a Hindu goes down to meet Watson. Meet Dirty Sommers. Dirty taunts Holmes that while his friend the Hindu is alive, no one can find the key. Before Dirty falls through the window, he says 'He has it deep and safe in his own'. Climb up and take the paper on the table. Read the Directive of Sect in documents. Climb up to the top and check the door. Automatically, Holmes and Watson are back down to the lower level. Quiz - Where did the Hindu hide the key? Type in - stomach. Click enter key or the arrow. Holmes talks to Watson about the key. Sword! Watson did the deed and gives Holmes the key. Top of lighthouse: Climb up again. Use the key on the door. Exit and meet Lord Rochester. Watson cannot delay the hooded men. Light - Light destroys darkness. Review the Directive of the Sect in documents - ...turn off the lighthouse so that the light of the master replaces it. Otherwise, the dream will not be fulfilled. Face the light source of the lighthouse. See a green bottle on the left and blue bottle on the right. Pick up the empty bottle from the floor. Face the blue bottle and put the empty bottle at the bottom ring. Turn the wheel to upend the blue bottle. Take the blue bottle. Face the green bottle and place the blue bottle on the bottom ring. Turn the wheel to get the blue bottle on top. Watch Lord Rochester be taken by the Light of Abyss. Back at Baker St., Holmes summarizes what happened. Did genius create evil or evil create genius? What troubles me more is the future. A ticking bomb, waiting. A danger wearing a face I know far too well.